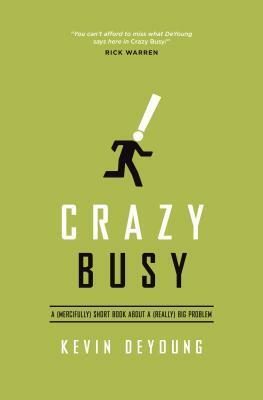 Kevin DeYoung begins his book, Crazy Busy: A “Mercifully) Short Book on a (Really) Big Problem, with the declaration that he is “not an expert” in living an unhurried life. As you read his book, you get the sense that he hasn’t really captured what he preaches, that he is in the process of figuring out what a life less busy really looks like. 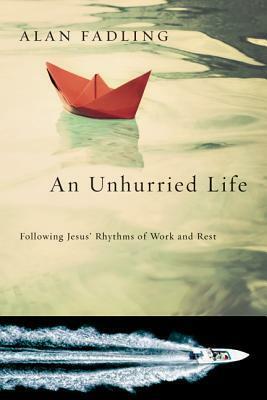 In comparison, Alan Fadling begins his book, An Unhurried Life: Following Jesus’ Ryhthym of Work and Rest, with the declaration that he is “a recovering speed addict.” By these two descriptions, the reader begins to understand that DeYoung is new to the topic while Fadling has wrestled with it for a while. I am a sucker for lists and for some reason I decided to read the majority of the books on Christianity Today’s 2014 Book Award’s list. I could bore you with the details of how and when I choose the books from the list but by happenstance (though that could be questioned) I was reading both of these books at around the same time (I try to only read two books at a time). Yes, two books on living a life less busy at the same time. God, what are you telling me? Though there are few recurring vocabulary and ideas (acedia anyone? ), the two books aren’t really that similar and that is a good thing. DeYoung’s book is like discovering that your friend just got into kayaking but was a novice and hadn’t practiced enough to really demonstrate anything to you. He is really excited and eager to become an experienced kayaker but at this point he can only share important truths and practical steps for you, who might be interested in joining him. Fadling’s book is like discovering your uncle is a really good kayaker and has years of experience and knows what is really important. You are excited about the introduction and you share your friends enthusiasm but you are so grateful for your uncle’s experience, wisdom, and instructional care. In other words, DeYoung is on the right track in ending the trouble of busyness and wants to bring others along with him, but Fadling has been there and is doing many things right and his experience makes a world of difference. The authors do touch on a few things exclusive to their own work. DeYoung has a chapter on time and parenting. He talks about studies that have been done that demonstrate the harm to kids caused by second-hand stress from overworked and overscheduled parents. Yes, one gift we could give our kids is fewer things to do. Fadling has a chapter on suffering as a means to forced slowness. I had never thought about suffering in this way but looking back on my own life, I realized the truth in such an insight. So much of living an unhurried life is learning to trust God. It is the same with suffering, when I have suffered, I have also had to trust God the most. So, the tendency for some readers would be to choose one book over the other depending on your preferences, reading capacity, and familiarity with the topic. I would suggest that instead you read both. DeYoung for an introduction, and Fadling for a more fleshed out approach. You will be glad you did. 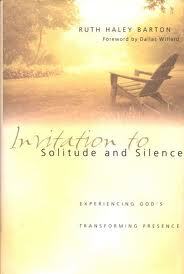 Richard Foster’s book Freedom of Simplicity was written more than 30 years ago. For a book that discusses money, materialism, and possessions, there is not much that needs to be updated. What strikes me is that so much of what he touches on in this book – moderation, simplicity, and generosity – has not become mainstream 30 years later. Why haven’t Christians embraced a more simple existence? 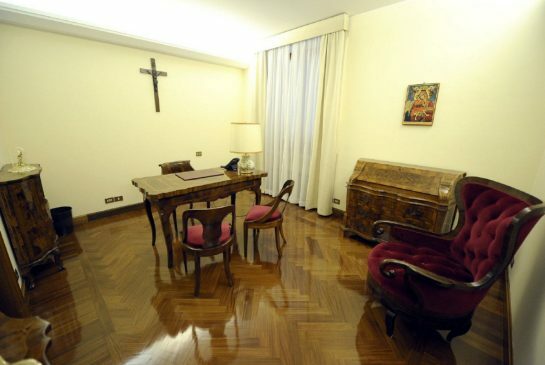 Why is materialism as rampant in the church as it is outside the church? Foster’s words remain timely. 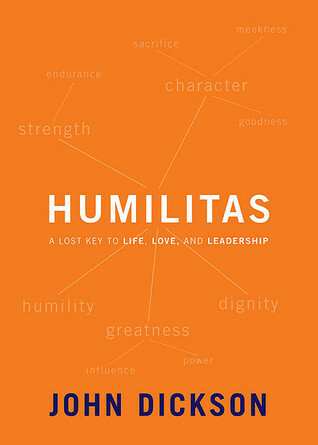 Foster always manages to keep three elements in play when he writes – the biblical, the historical, and the practical. Every book I have ever read by him keeps this same pattern. It is strange to hear occasional critics of Foster describe him as operating outside of Biblical emphasis ; these people must not have read any of his books. 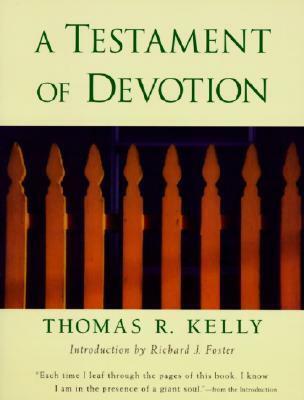 In this one, he spends entire chapters on the Old Testament view of money and simplicity as well as the New Testament. Additionally, I probably know more church history from reading Foster books than just about anything else . This book is full of examples of the Christian church’s effective approaches to money and possessions. Finally, Foster shares practical steps to removing what is unneeded in our lives and ways to approach a life that is not wanting but is full of what truly matters – God and his kingdom. This was the phrase that was repeating in my head after I finished Deeper Experiences of Famous Christians by James G. Lawson. The author used this phrase over and over to describe great and miraculous things that happened through the work of well-known and slightly well-known Christians. 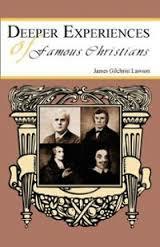 It has been several months since I have read this book but several of the bios featured in the book still come to mind – namely George Whitfield, Dwight Moody, and Charles Finney. Lawson definitely places a glossy sheen on many of these stories and his accounts of their lives gets pretty close to legend on a few occasions. But, I don’t think his myth making tendencies distract from the principles and lessons to be learned from each bio. Beyond biography, many of these stories are about spiritual movements and how they came about. Again, these movements come down to the power of God breaking forth in a particular time and place. May this inspire our prayer for our particular time and place. Lord, may your power come to us today. Perhap s nothing is more mysterious in scripture than the story of the Magi who come to visit baby Jesus. Who were these people and where did they come from? Why make such a long journey? Couldn’t they have just been satisfied with the knowledge that they had received from the stars? 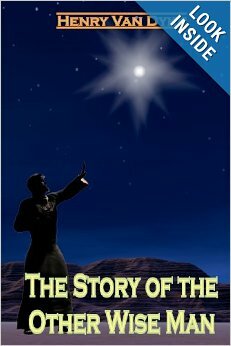 In The Story of the Other Wise Man, Henry Van Dyke attempts to answer these questions. With scholarship and style he makes a fascinating fictional case for what the wise men were up to. In Artaban, the “other wise man,” you have a true pilgrim whose pure heart and devotion to his calling is most admirable. Apparently, Van Dyke’s short story is more than 100 years old and is a classic Christian writing. It has also inspired a feature film starring Martin Sheen. I had never heard of it until this past year. My only qualm with this story is that so much is spent at the beginning with the explanation for why the journey would be beneficial that the actual journey and subsequent results seem rushed. Still, Artaban’s life and service to others raises powerful questions about one’s response to Christ. I like wrestling with these questions because Christmas stories don’t have to be summed up by a Christmas card sentimentality.